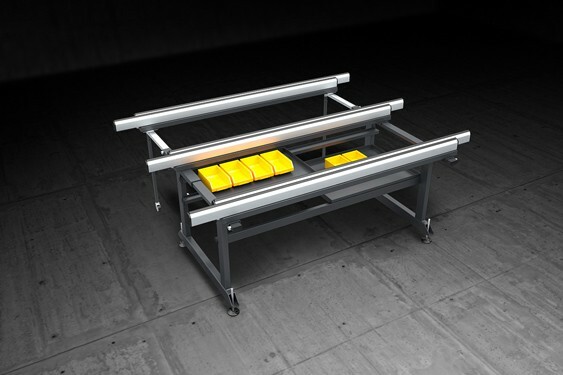 Correct flow of materials, whether semi-finished products or parts in the assembly phase or finished products, plays an important role in rationalizing and optimizing the production cycle. 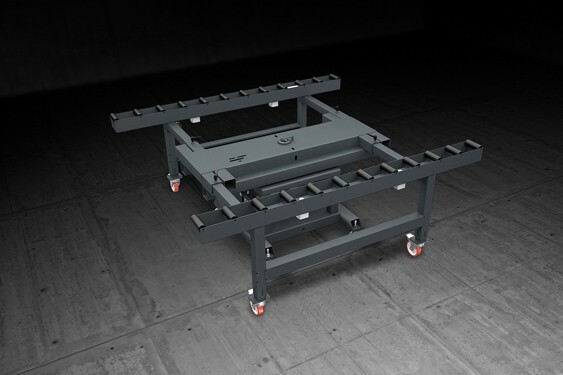 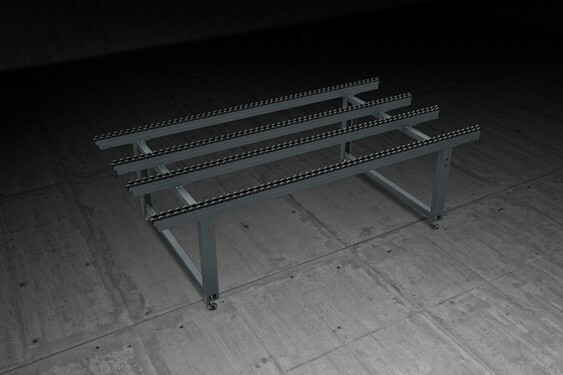 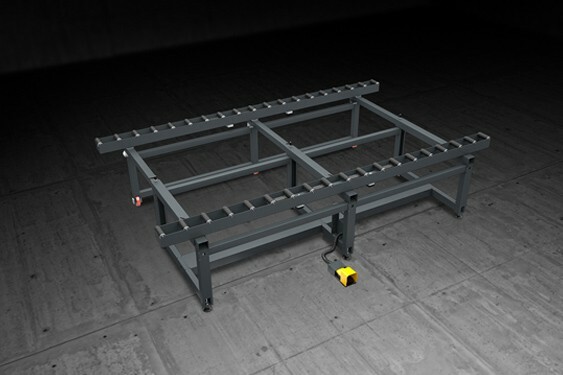 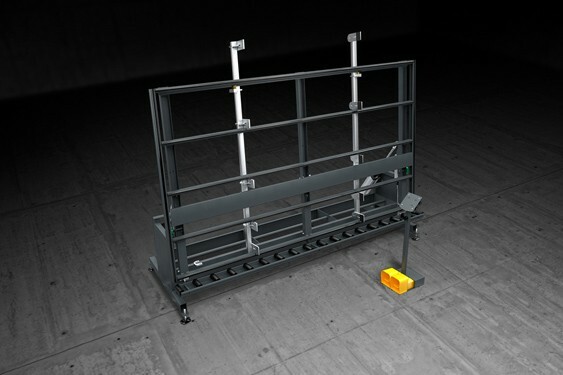 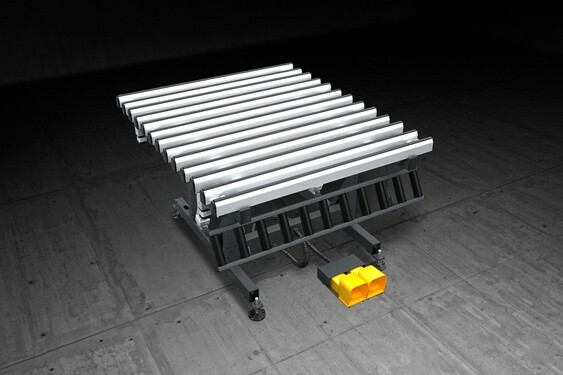 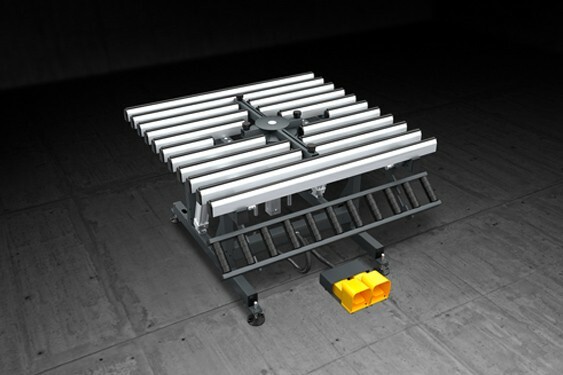 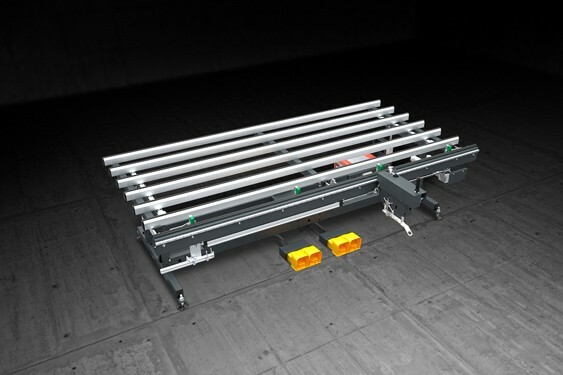 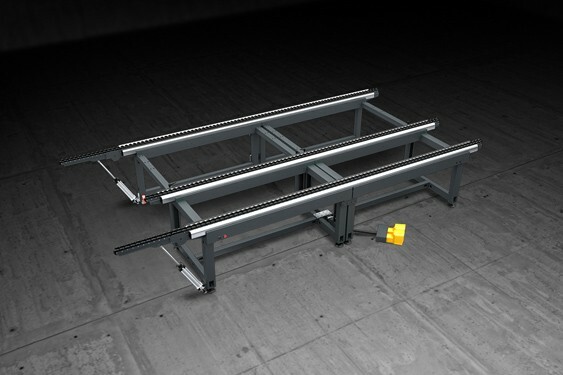 The Emmegi Logistics line offers companies a concrete solution to all storage, handling and assembly problems. 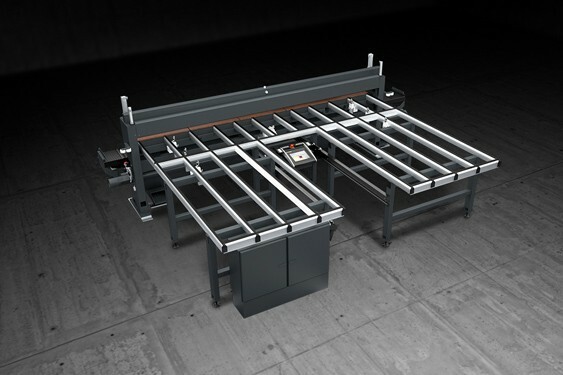 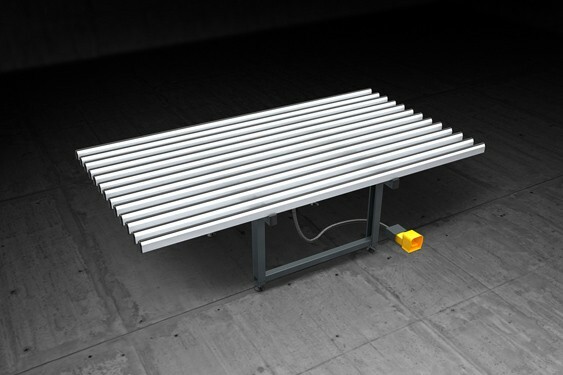 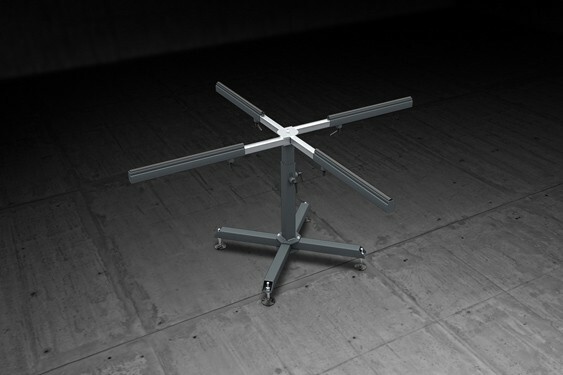 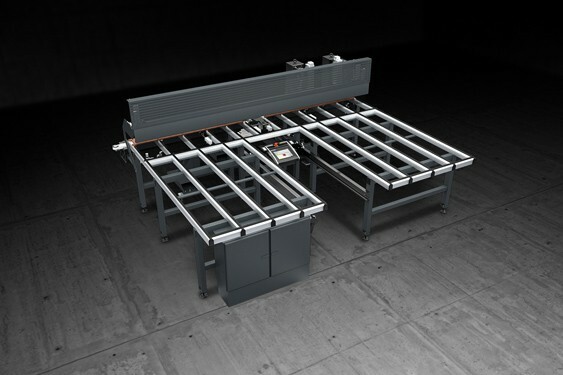 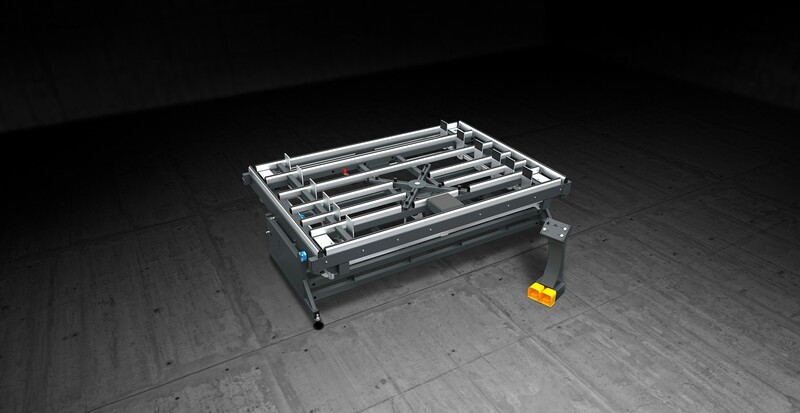 BFG 2400 is an assembly bench for fitting the aluminium frame with gasket and glazing. 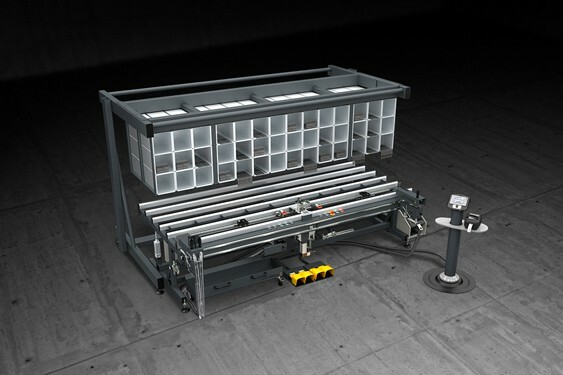 The glazing is lifted with a spider clamp and thanks to a system of self- aligning clamps the frames are pressed two-by-two. 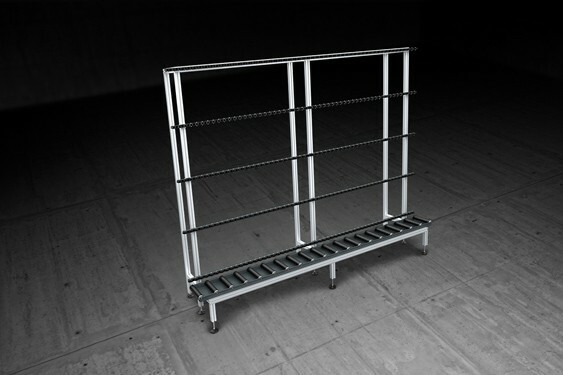 After pressing on the first two sides, the spider clamp is rotated, then it is possible to press on the other two sides.